They should be of a size whereby our grant will have a meaningful impact but will not usually exceed 10% of the annual budget. Quality of leadership is paramount and we will also expect a high standard of governance via the board. The programmes must be based on a well considered Theory of Change, be able to demonstrate that they are achieving positive outcomes and that they deliver long lasting benefits. We are particularly interested in programmes in the UK that improve social mobility and encourage early intervention. The obesity crisis is gravely concerning, with one in four adults in the UK now classed as obese. Although this is a problem that is felt across the whole of society, it disproportionately affects the most disadvantaged. For example, the poorest 20% of children are nearly three times more likely to be obese than the richest 20%. EQ has funded Off the Scales, a report by the Centre for Social Justice to understand the issues and recommend solutions.The report recommends a coherent approach by Government across all relevant policy areas and highlights the impressive results delivered by the Amsterdam Health Weight Programme. Breaking the cycle of addiction and crime by providing ex-offenders with the intensive support and aftercare needed to recover from substance misuse and develop the skills, confidence and aspirations to build a positive, sustainable, crime-free future and move forward with their lives. Step Ahead in Social Enterprise and Employment will offer business and mentoring to Black and Minority led Social enterprises that have begun trading to prepare them for growth, and a complimentary job coaching package for people new to our service who choose employment option over enterprise. Empowering disadvantaged young people to thrive not just survive by providing practical and financial support to young people entering the workplace, the Opera Global Youth Foundation supports disadvantaged young people to find, gain and stay in work for 12 months or more. Inspired by G F and Mary Watts’s passion for Art for All, the Big Issues Project reaches out to prisoners, young offenders, the homeless and those with poor mental health and addictions, to offer access to art, craft and design, personal transformation, the development of self-worth and new skills. The Sutton Trust was founded by Sir Peter Lampl in 1997. It is a foundation which improves social mobility in the UK through evidence-based programmes, research and policy advocacy. From early years’ through school, college and university to the workplace, Sutton works to combat educational inequality and prevent the subsequent waste of talent. They are concerned with breaking the link between educational opportunities and family background, so that young people are given the chance to fulfil their potential, regardless of their family background, school or where they live. The Panathlon Challenge provides sporting opportunities to over 13,000 disabled young people every year from more than 800 schools. Since 1999, they have run over 800 ‘mini Paralympic’ multi-sport competitions for secondary or primary school children, along with dedicated football, boccia and swimming programmes. Panathlon has also trained over 3,000 young leaders, aged 14-19, who act as sports officials for Panathlon competitions. 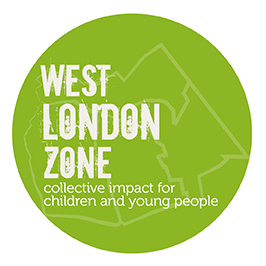 West London Zone is a highly innovative organisation creating a partnership of local organisations all working towards the same goal: that children and young people grow up safe, happy and healthy. They do this by helping charities, local authorities, schools and children’s centres deliver the best possible support to those children and young people who need it most. Over the next 10 years WLZ aims to have an impact on 13,000 children and young people across three square miles of inner West London, and change the life chances of the children in that zone for good. The EQ Foundation is supporting a programme at Kensington Aldridge Academy. Spear is a programme operated by Resurgo. It provides pre-employment training for young unemployed people, mainly in London, initially via a six week intensive course. Each Spear attendee leaves with increased confidence, skills to find work and a City & Guilds Level 1 Qualification in Customer Service. EQ has been delighted to employ a number of Spear graduates and encourages other employers to do the same. More than ten years ago Spear started in West London with one small class of five students. Of those who graduate from the course, 75% are still in employment or training a year later. Over the past decade, Spear has helped over 2,500 young people into employment or education. Since the first Spear course was launched in Hammersmith in 2004, it has grown to eight centres across London, working with over 750 young people each year.Spear has ambitious expansion plans for the years ahead and has also received backing from respected venture philanthropists Impetus-PEF. EQ has successfully hired a number of Spear graduates. The Access Project provides one on one tutoring via a group of volunteers to help highly able children achieve entry to Russell Group universities. In addition a dedicated member of The Access Project staff is based in school to deliver university support and enrichment activities, which equip students with the skills and information they need to win places at top universities. The results are impressive: more than 63% of Access Project students obtain places at leading universities compared with only 18% on average from the state sector and 48% from independent schools. The EQ Foundation is funding programmes at Oasis Enfield Academy and Kensington Aldridge Academy. APP is helping to restore the dignity of prisoners and prison staff and to further their education, notably in the field of law. Almost unbelievably, students sponsored by APP to study for legal degrees in prison via the University of London have been achieving better average grades than undergraduates who actually attend the lectures in person! More recently APP has been helping prisoners to gain release for hundreds of people detained on remand, often for longer than the maximum sentence they would receive if convicted. Court hearings are held in English, a language that many people in remote areas cannot understand. APP has also commenced a project to increase awareness about health amongst prisoners. This has already had a significant impact on reducing disease and deaths within prison. It is also expected to lead to further improvements in wellness as inmates are released and return to their communities.